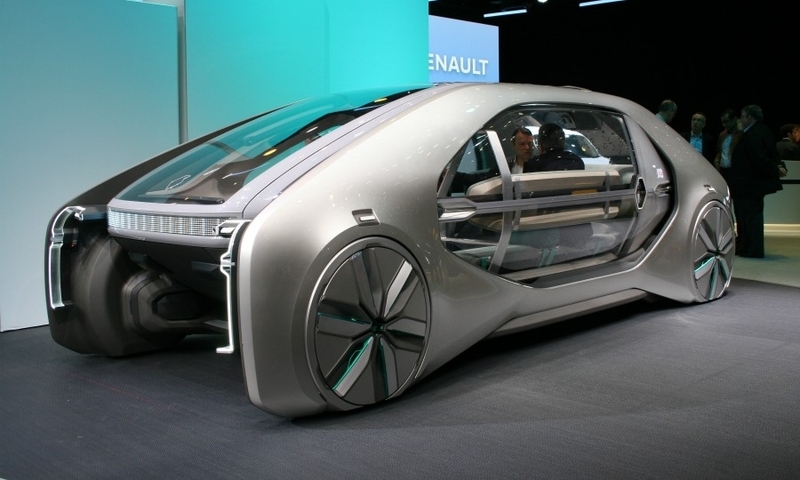 GENEVA -- Renault CEO Carlos Ghosn has promised to start a robotaxi service by 2022. 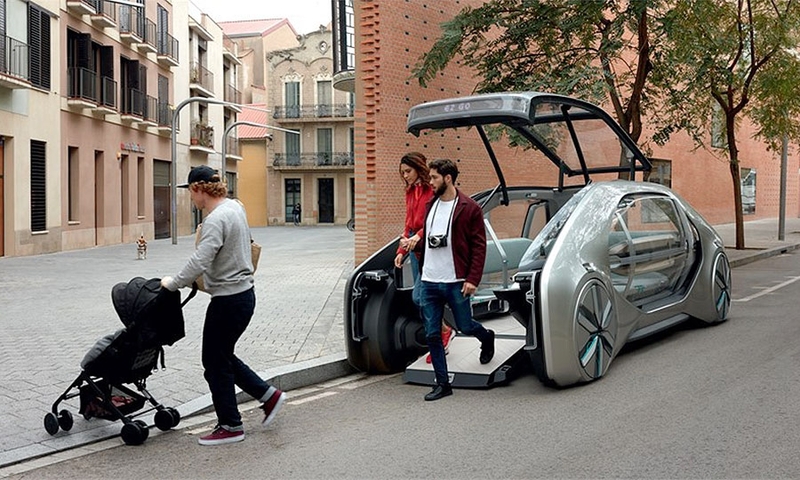 The Renault EZ-GO concept shown here offers a look of what that service might look like. 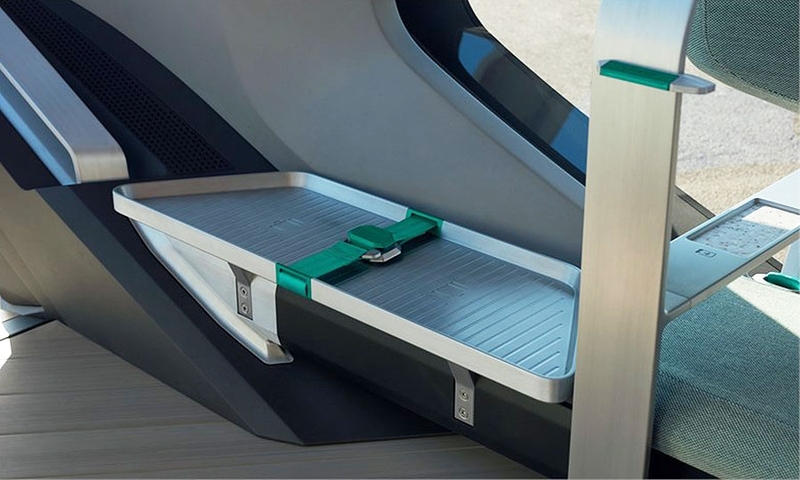 The EZ-GO is a driverless electric vehicle that can seat six passengers, who can comfortably walk into its flat-floor cabin through a front hatch. It is also a complete transit system, with docking stations and a demonstration ride-hailing app. 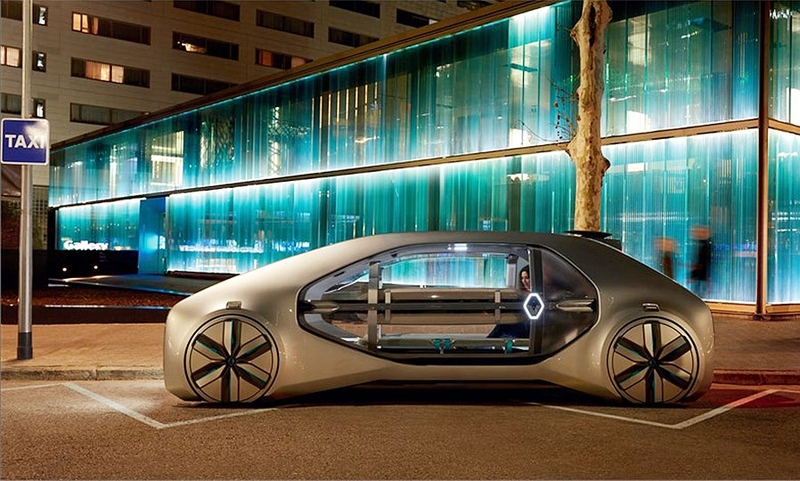 Renault envisions a multitude of customers, including municipal transit authorities, hotels and other service businesses. A small electric motor in the rear axle propels the vehicle to a speed-limited 50kph (30mph). 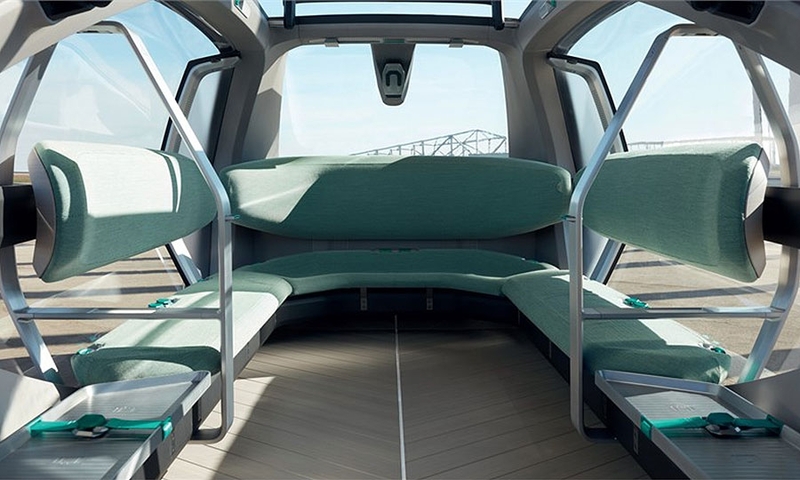 Other features include four-wheel steering, a U-shaped seating area and expansive glass areas. 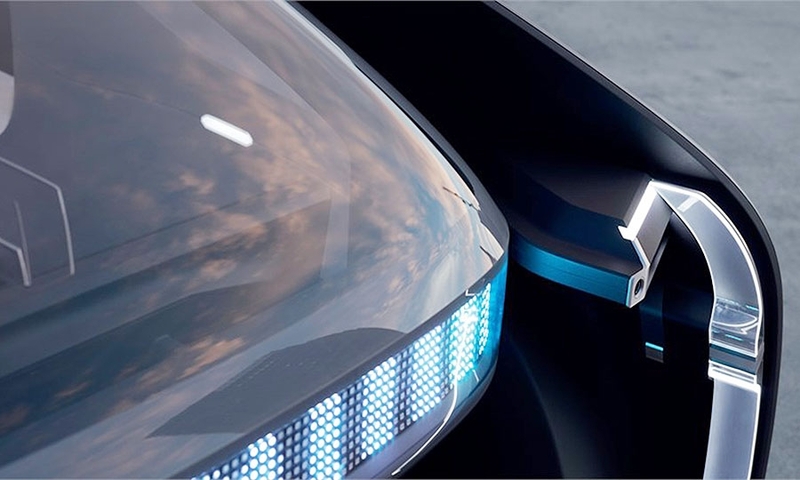 Thierry Bollore, newly appointed as Renault chief operating officer, said the EZ-GO is "the first act of our mobility trilogy," Bollore said. "This is the year that we will explore what mobility services of the future will look like in many different scenarios." 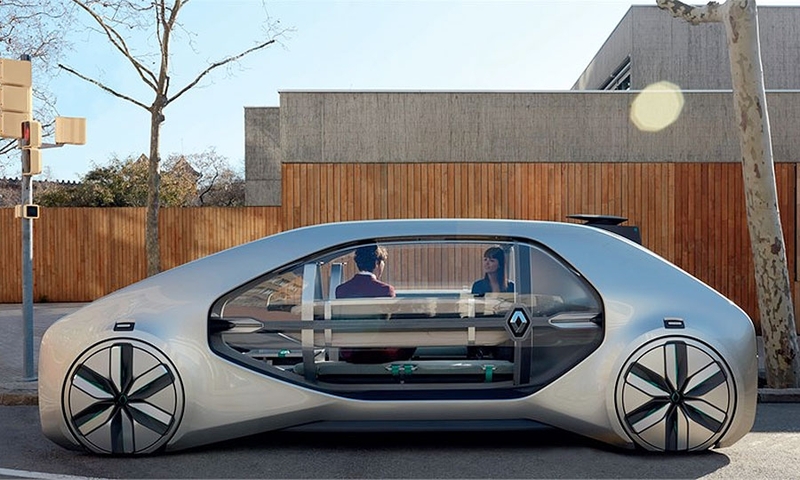 Other companies plan to introduce robo-taxi services, but Renault says what distinguishes the EZ-GO from potential competitors at Volkswagen, Continental and others is its design. 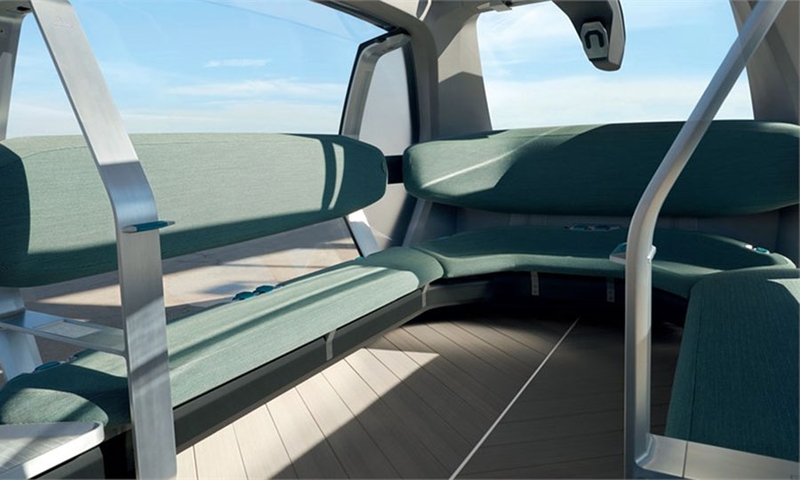 The yellow cab of the future? 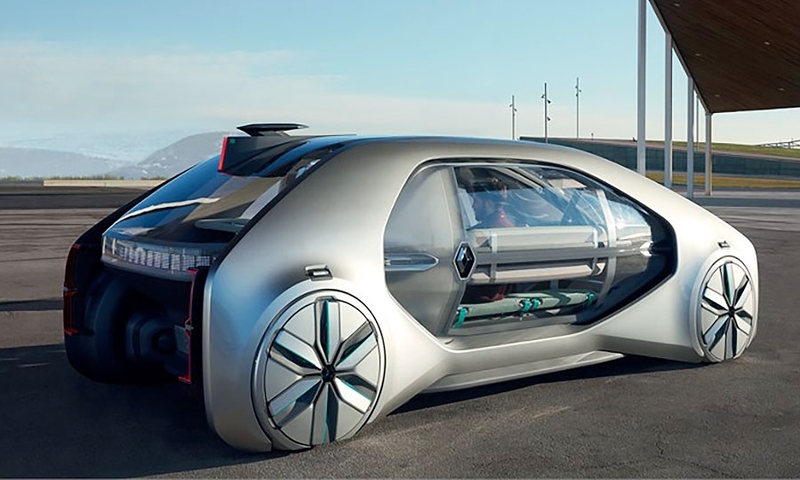 "It still looks like a car, not like a box on wheels," said Laurens van den Acker, Renault design director. 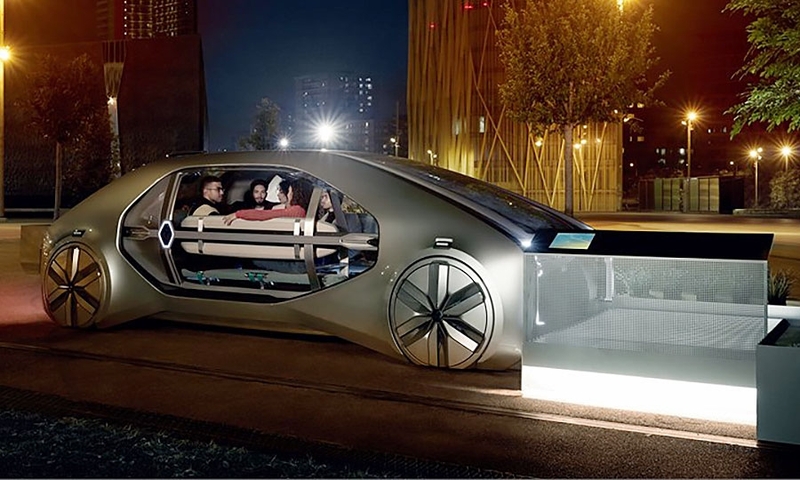 "We believe that driverless, shared vehicles should be attractive, and can even become iconic." "What if the EZ-GO became part of a city's calling card, like the yellow cabs in New York?" he said. The EZ-GO is 5200 mm long and 2200 mm wide, with a curb weight of 1700 kg. 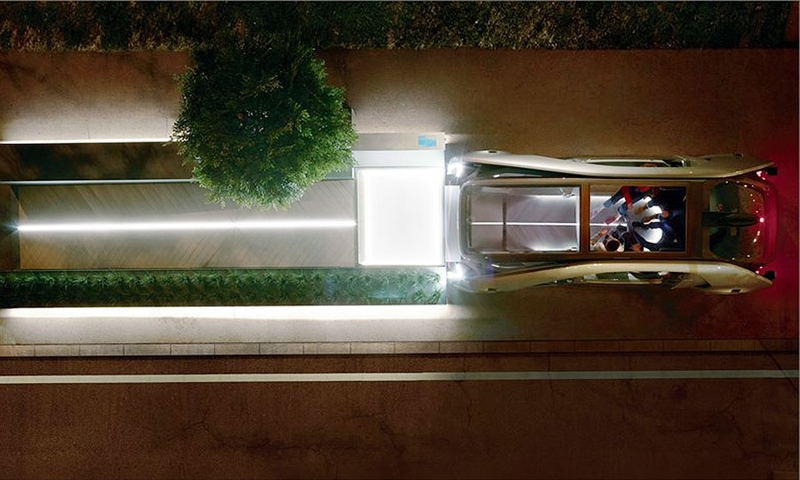 Its relatively low height of 1600 mm meters helps the vehicle to blend into the city environment, Renault says. 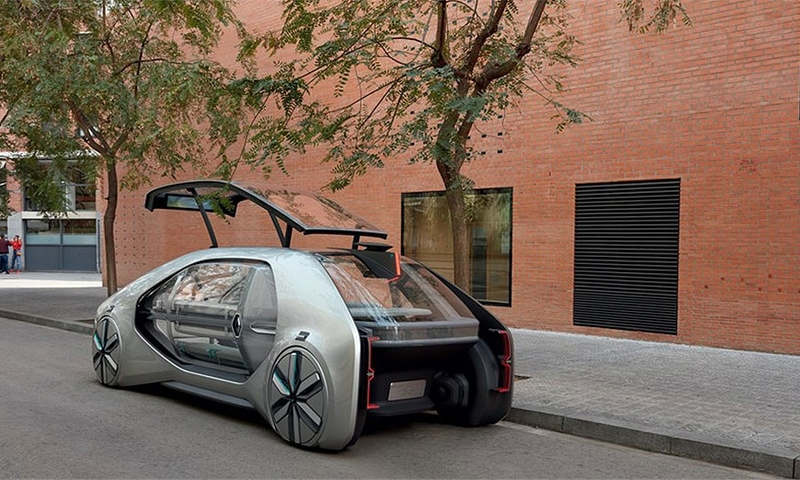 On-demand mobility services are a key part of Renault Group's Drive the Future business plan. The company plans to launch a ride-hailing commercial robot-taxi service by 2022, working with alliance partners Nissan and Mitsubishi. Renault has been testing such services using modified version of the Zoe and other vehicles, in Rouen and outside of Paris. 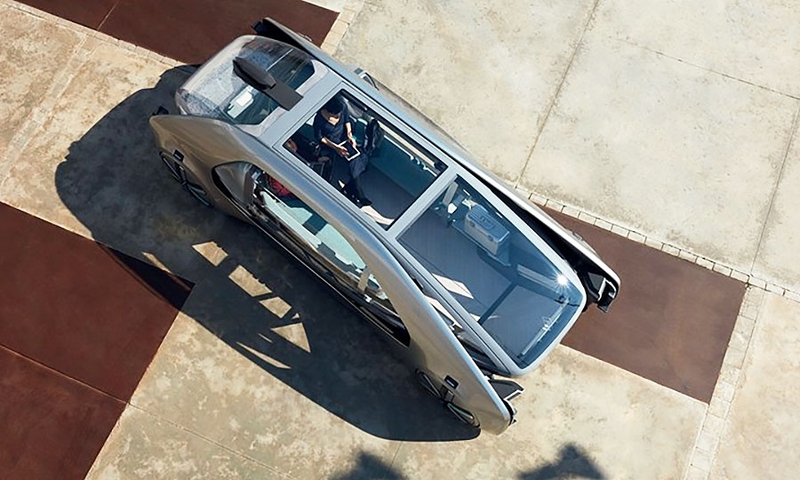 In December the company publicly tested the Symbioz electric vehicle concept, with Level 4 autonomy, on public roads. At the same time the company is developing the user interface through ride-hailing apps such as Marcel and Karhoo, and Zity, an electric car-sharing service in Madrid. Alliance partner Nissan will begin testing its own autonomous taxis in Yokohama, Japan, the company said last week. 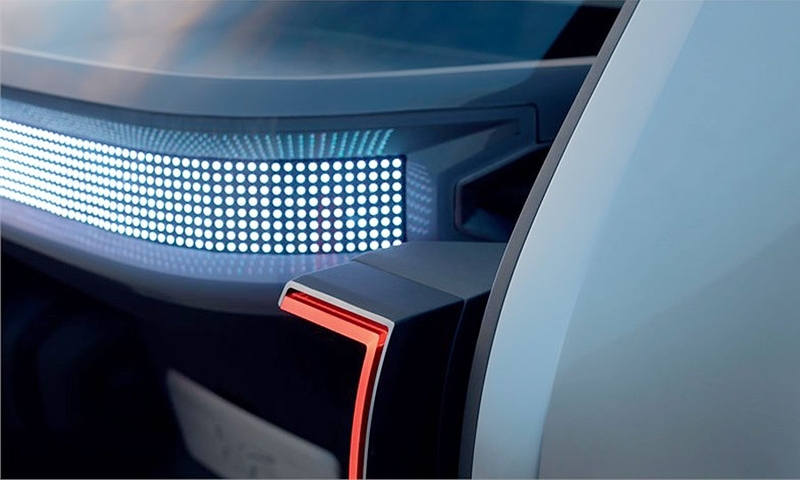 Other automotive companies working on similar initiatives include GM, Daimler and Bosch. Volvo and Daimler have teamed up with Uber. Volkswagen Group and Hyundai Motor, along with a startup called Aurora, will develop vehicles for Moia, VW's electric ride-hailing network. 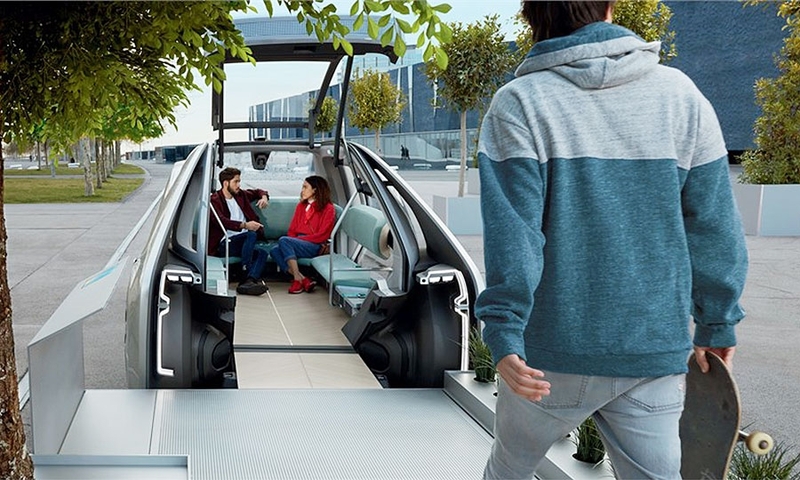 Volkswagen showed its own version of a driverless future last year with the Sedric, and this year at Geneva is showing a school bus version of the Sedric. Widespread adoption of car-sharing and ride hailing of autonomous vehicles would upend automakers' traditional revenue model. 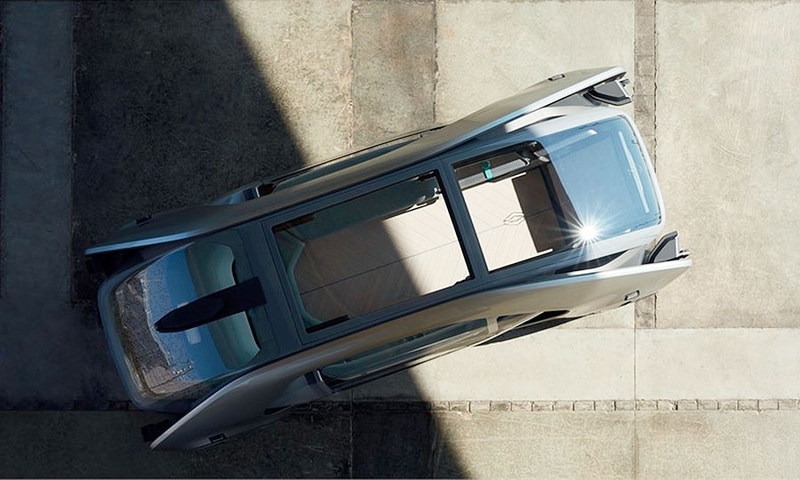 "By treating mobility as a service instead of a one-off transaction, automotive players could open new revenue pools worth billions, and in the process, disrupt both the automotive and mobility business models," the consulting company McKinsey said in a report last autumn. As an example, McKinsey said, an automaker might earn 2,500 euros on the sale of a car expected to last 200,000 km, or barely over one cent a kilometer. A robo-taxi service would return much more profit per kilometer. "This represents a radical change in how the industry looks at profitability," the report said. 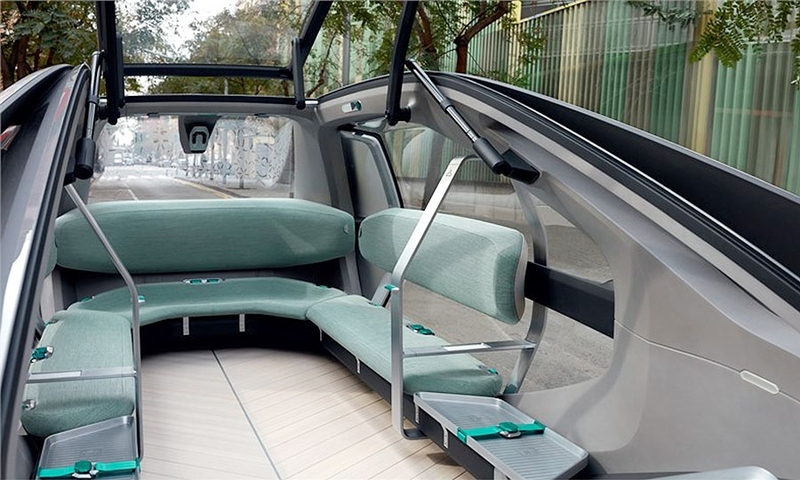 McKinsey envisions a first stage of robo-taxis, starting in 2020-22, which will operate only in geofenced areas at low speeds, and in good weather. Profits will be scarce as companies gain experience and systems are tested and rejected. 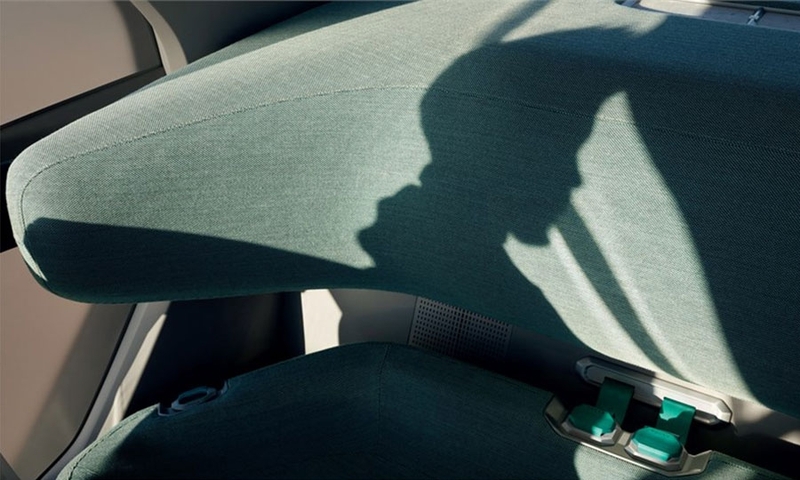 The business will reach maturity sometime around 2030, McKinsey estimates, at which point taxis will be able to navigate rough or unfamiliar roads in virtually any kinds of weather -- "conditions that would tax even highly experienced human drivers."